Fantastic 5 bedroom, 4 bathroom home, located on a cul-de-sac street, with backyard views galore! Almost 4,000 square feet of very well maintained finished living space including basement with high ceilings and egress windows for additional room. Added charm in the kitchen with a farmhouse sink and beautiful Quartz counter tops. Located nearby library, shops, hospitals, schools and restaurants. 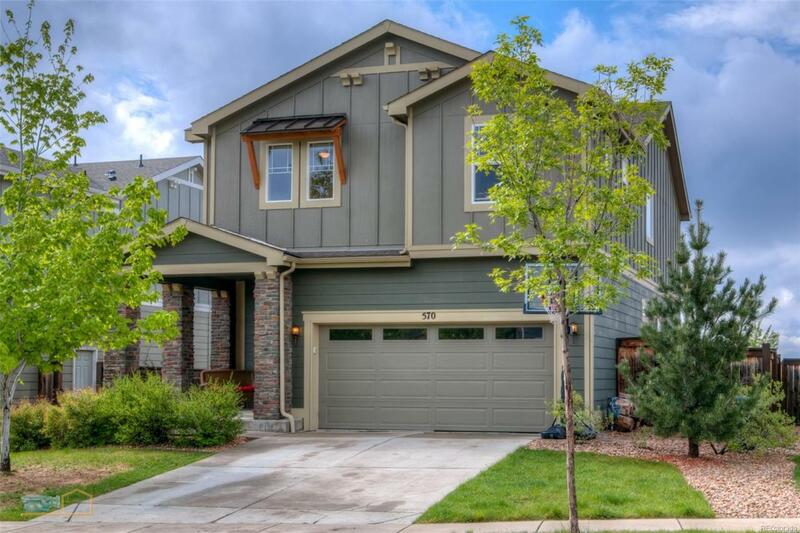 Easy access to I-25 and surrounding towns. Approx 25 minutes to DIA! Association Name Primary Silver Creek Master Assoc.